Imagine that you are hiking in California’s blazing desert, 100 miles from the Pacific coastline. Imagine the huge mountains and the winding canyons that would surround you. Cacti dot the sandy landscape. What is the last thing you would expect to find? 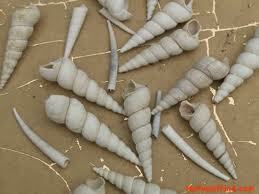 Seashells! Yet find them you will: in dried out washes, on an ancient shell reef, in canyon walls. 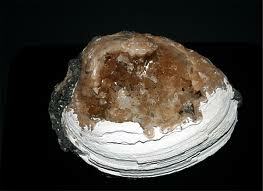 Located 20 to 25 miles west of today’s El Centro, California, the basin offers a vast shell bed of 6-million-year-old oyster fossils. 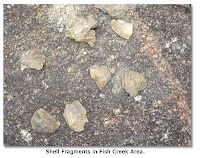 Erosion has left the dry wash streambeds littered with the shells. Strata in the streambed walls clearly show where oysters once covered the basin floor. 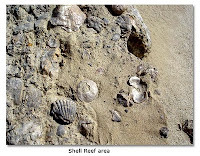 California’s Shell Reef, located in the middle of an active off-road vehicle area in Anza Borrego State Park, is another treasure trove of fossils. 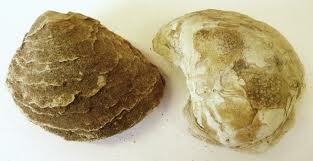 Although a small fence protects the reef, you can still enter the area and examine the fossilized oyster shells. 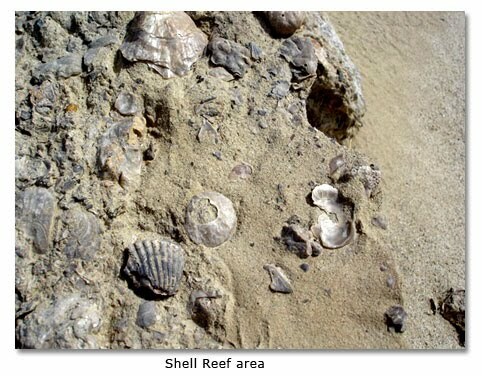 Shell Reef formed about four million years ago. We could also search America’s Great Plains, more than 1000 miles east of the California Desert. Any chance we might find seashells there, in the middle of the continent? You bet. The shells provide evidence of an ancient sea – the Western Interior Seaway – that existed in what is now America’s Heartland. Over time, the Western Interior Seaway receded, leaving the floor exposed. 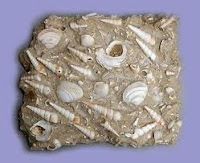 Vast rock and sediment layers remain along with fossils from creatures that once lived in the sea. The Pierre Shale is a formation deposited by the Western Interior Seaway. Exposures occur in Canada and in many U.S. states, including South Dakota, Colorado, Nebraska, Minnesota, New Mexico and Wyoming. 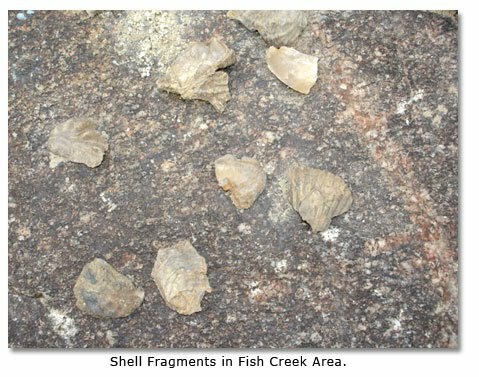 The shale contains many species of fossilized shells, including ammonites, which we will be covering in depth as they are scheduled to be a future fossil of the month.